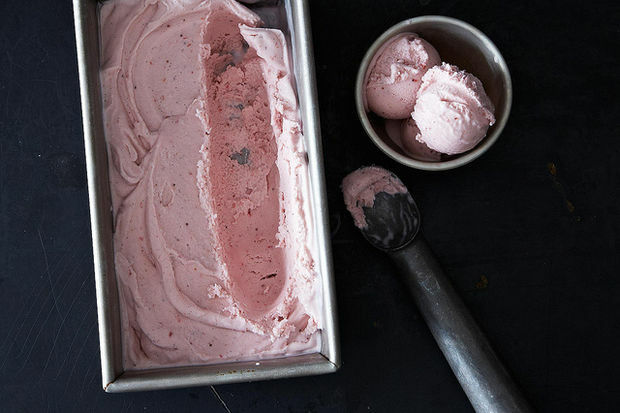 If you haven’t been blending up your berries into homemade fruit leather, I have another idea for you: creamy and decadent strawberry vanilla coconut ice cream. That’s right. In today’s New Veganism column at Food52, I’m sharing one of the first “grown up” ice cream recipes I’ve ever posted. 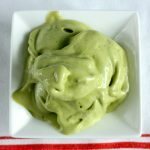 By “grown up,” I just mean that created a custard and used an ice cream machine; normally, “ice cream,” for me, means banana soft serve or my blueberry ginger VitaMix ice cream. These are delightful, but sometimes you want an ice cream that’s a little thicker, a little easier to scoop, and a little more reminiscent of the stuff you grew up with. That’s where this recipe comes in. Strawberries and vanilla are a match made in heaven. 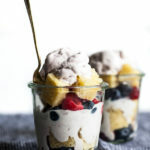 Throw in the creamy, rich flavor of coconut, and you have a perfect storm of summery dessert goodness. I savored every bite of this fantastic ice cream, and I know you will, too. 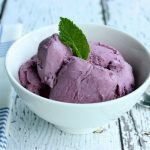 If you don’t have an ice cream machine, you can follow one of these techniques for making the recipe without it. If you think you’d like to explore homemade ice cream on a regular basis, though, I recommend checking out your local Craigslist for a used machine. That’s how I found mine, which was barely used. Once you have one, it’s great fun to explore recipes. Ebay is also a good place to look for a used model in decent condition. 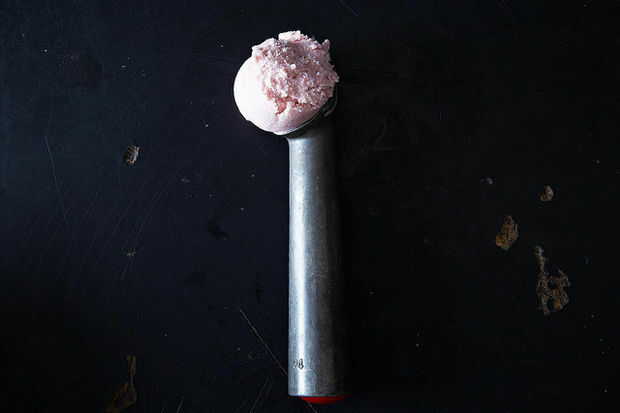 I hope this ice cream bathes you in nostalgia for summertime scoops. Head on over to Food52 for the recipe and my notes! I need an ice cream maker in my life asap! 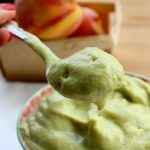 This looks unbelievably tasty and such a perfect summer treat! It’s so yummy .Looks awesome.Will be great for summer. WOW!! The perfect summer treat! You outdid yourself here my dear! Great recipe and so beautiful too!I adore eating strawberries in the summer, and coconut is like my lifeblood! :) This recipe is perfect in every way. Thanks for sharing! How beautiful! And strawberries seem to still be in season here in Woodstock. 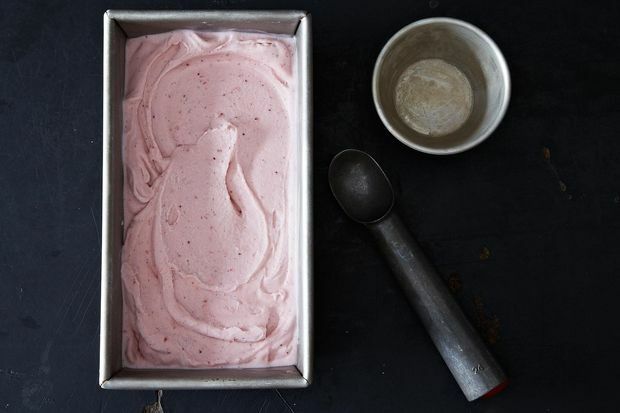 I made some strawberry ice cream yesterday, inspired by you, but without the cooking. Just had an hour to pull it together so blended it all up with honey instead of melting sugar and it was fantastic! I almost always just make vanilla and top it with something, so thanks for the inspiration. this is just perfect! though wtf it’s like fall weather out there today?! Ooooh that looks and sound just delicious. Great combination of vanilla, strawberry and coconut. Mmmm just imagining eating it, Mmm yummy! I think my kids would enjoy something like this too. Pretty healthy and not store bought.